Recovering potential materials from waste helps preserve primary resources. 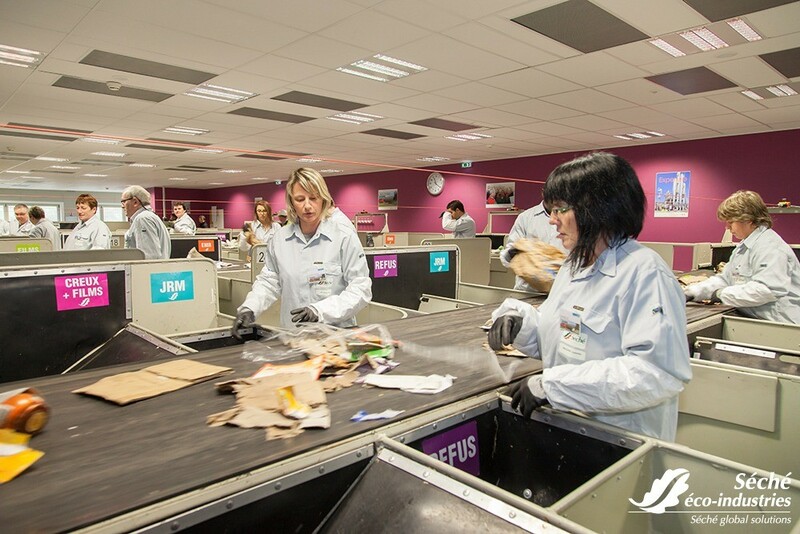 Main axis of its waste management policy, resource recovey requires specific tools and know-how. Depending on the needs of terriotires, or the nature of waste, Séché develops ad hoc solutions that contribute to this conservation, following a circular economy logic. First step of material recovery, Séché has developed last generation tools for sorting households waste. Several sites have been modernised since 2011 to participate to experiments led by Citéo based on the extention of recycling norms to all plastic packaging. These new tools enabled local authorities to implement norms to enhance the performance of their waste management policy. 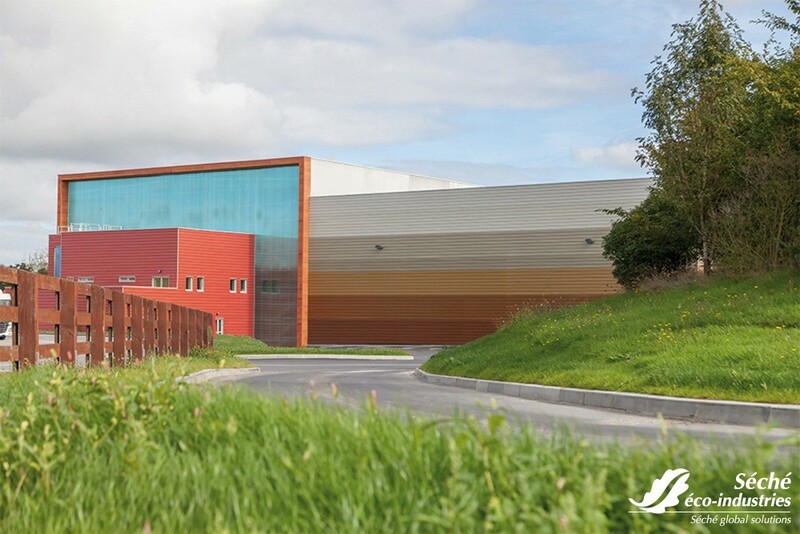 Séché possesses high performance facilities for sorting mixed materials from economic activities. 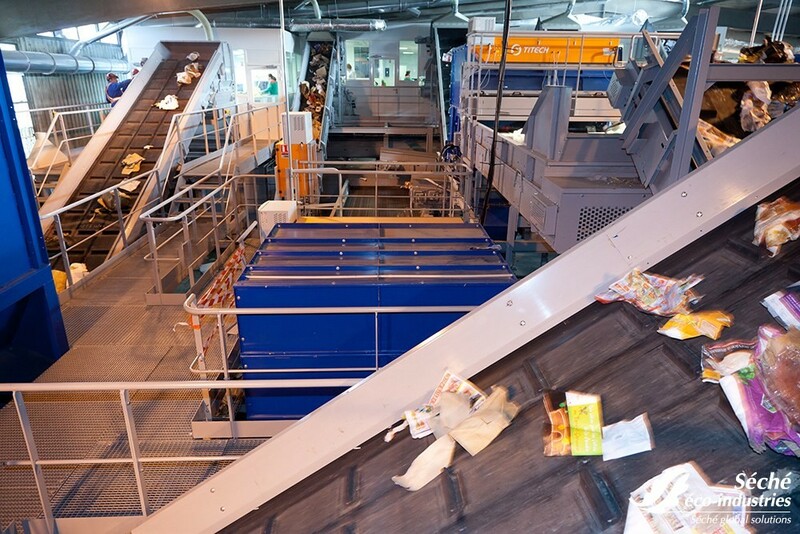 Adapted to the volume and types of waste, the plants enable to extract recoverable materials from waste which are then directed to recycling facilities. These technical solutions are offered to companies which are deeply committed to recovering their waste. Simultaneously, Séché accompanies industries in their efforts to reduce waste at its source, or develop innovative solutions to integrate recycled waste into new production cycles. Since 2013, Eco-Mobilier, an environmental organisation of the furniture recycling chain, developed sorting solutions for furniture which cannot be reused nor repaired. Focused on this new recovery sector, Séché accompanies local territories to develop and adapt treatment tools to manage these new waste flows. Recovery materials can thus be extracted. These waste are not waste anymore, but new resources for the recycling industry. Research programs have been implemented to develop new recycling chains which are technically adapted to all materials contained in used furniture (painted woods, varnish,...). Séché offers solutions to produce compost from green waste, or from the extraction of the fermentable fraction of households waste. The resulting compost, which meets current norms, can then be used as an organic soil improver. A new recovery alternative recognised by the Energy Transition for a Green Growth Act, Solid Recovery Fuel (SRF) production is a recovery solution for waste which cannot be recycled directly (refuse sorting). SRF can be used in specialised facilities to product alternative energy to substitute fossile fuels. Easily storable, SRF enables to reduce residual waste and has the benefit of delivering energy in a time-delayed manner, which is adapted to energy needs.